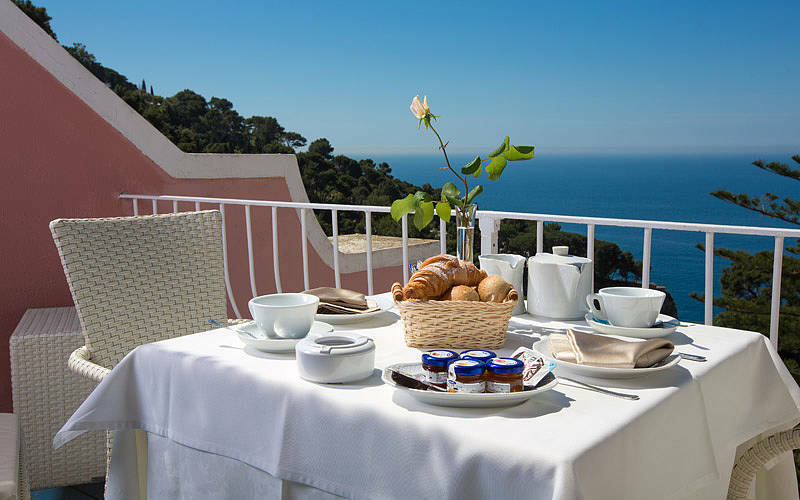 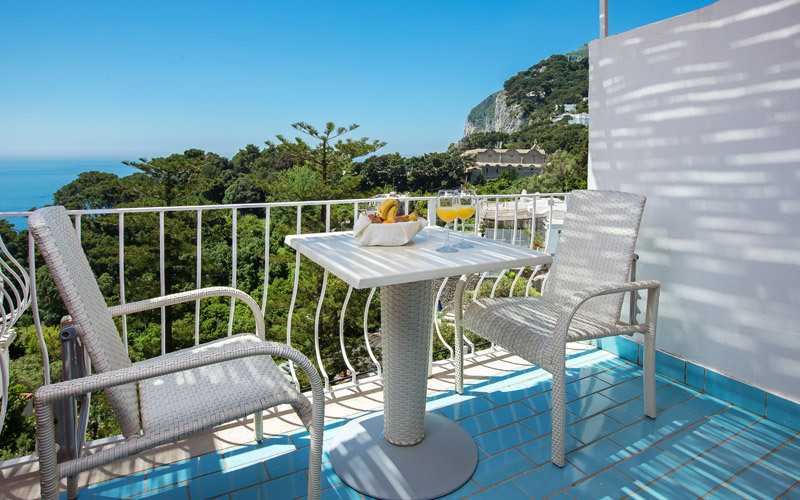 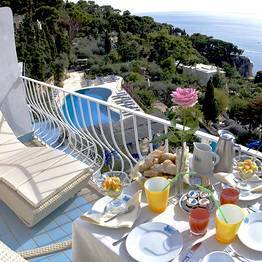 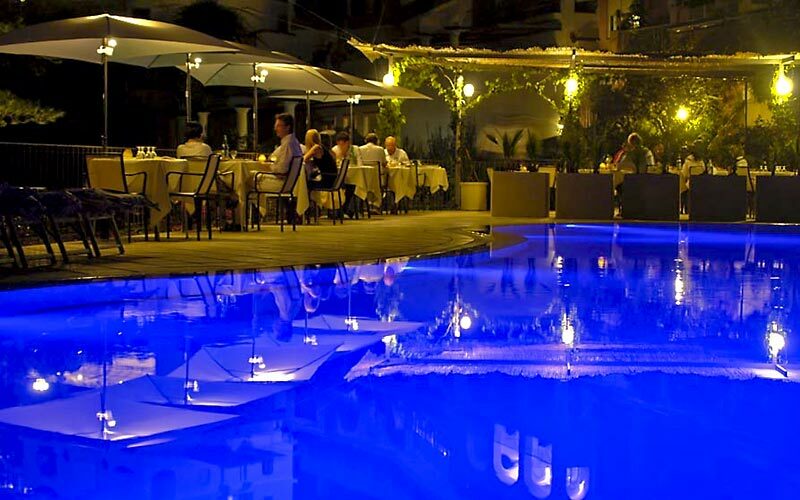 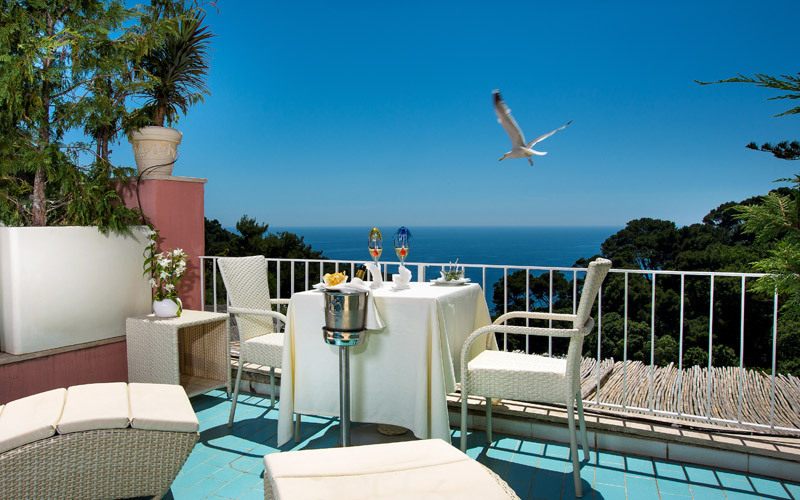 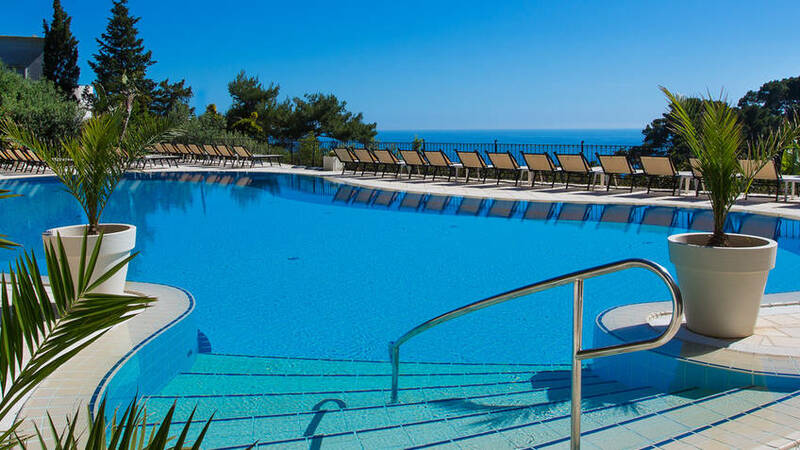 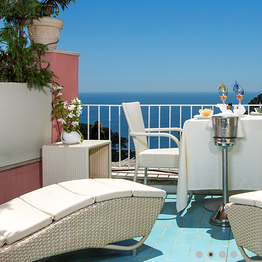 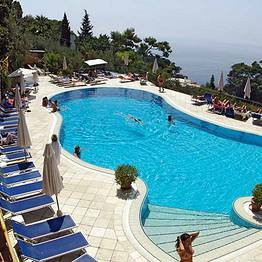 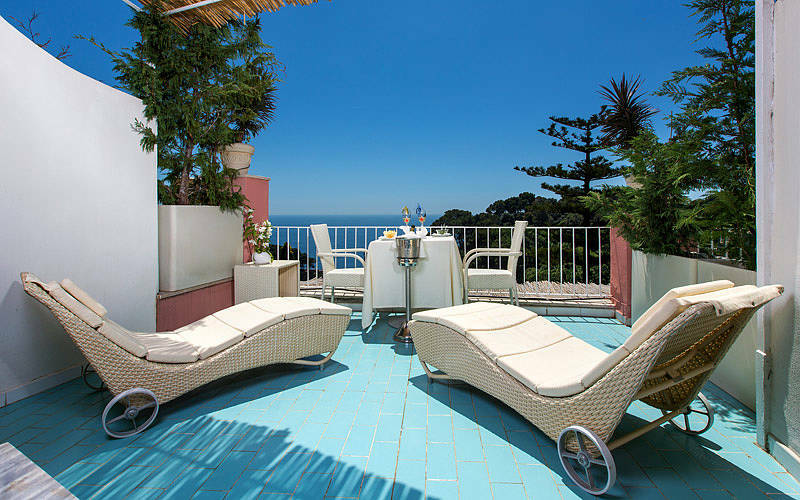 Hotel La Vega Capri: 3 reasons to book here | Capri Booking. 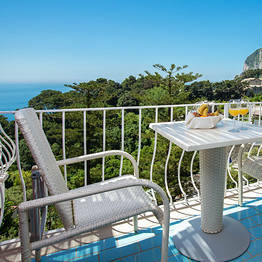 La Vega overlooks the sunny, southern coast of the island. 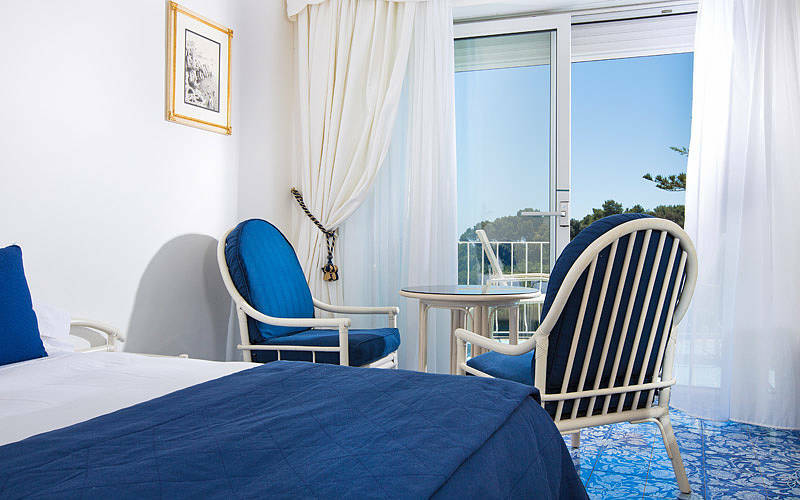 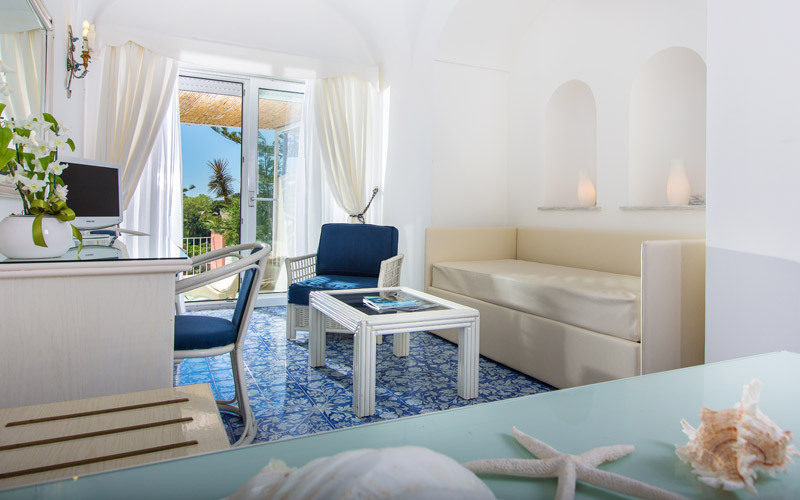 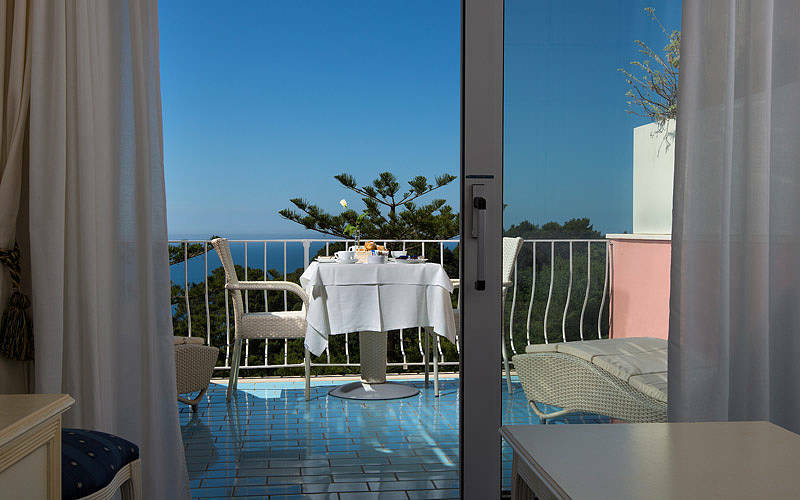 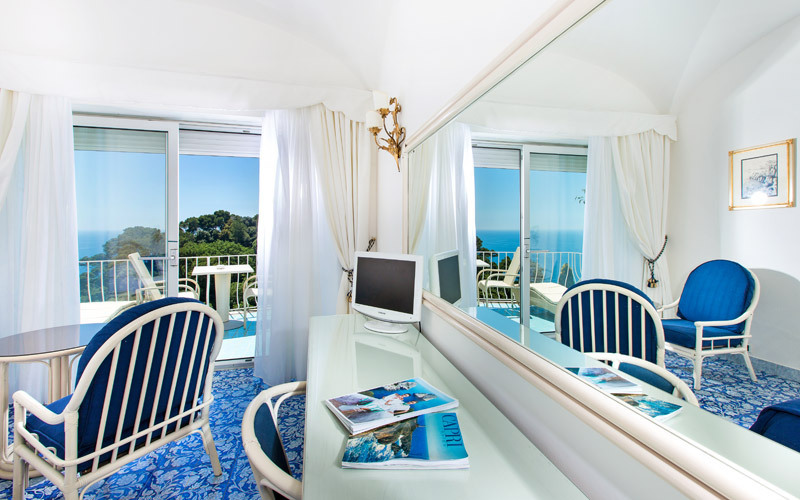 Each of the hotel's 24, tastefully furnished bedrooms opens out on to its own private terrace from where to see the most spectacular views of the sea surrounding Capri. 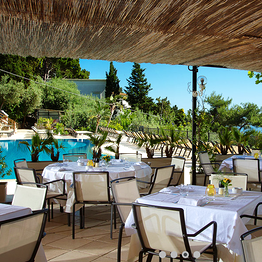 Providing the perfect introduction to the flavors of Capri, La Vega's "Al Chiaro di Luna" restaurant serves all of the island's best-loved dishes, prepared with the finest of locally sourced ingredients and accompanied by an excellent selection of regional wines. 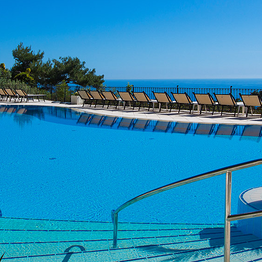 On warm summer days, guests might easily be found topping up their tan by La Vega's fabulous sea view swimming pool, carved out of the rock. 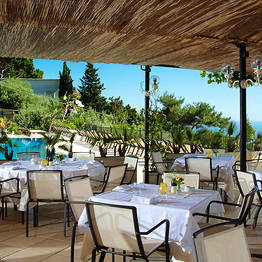 Delicious light lunches and snacks are served at the poolside snack bar. 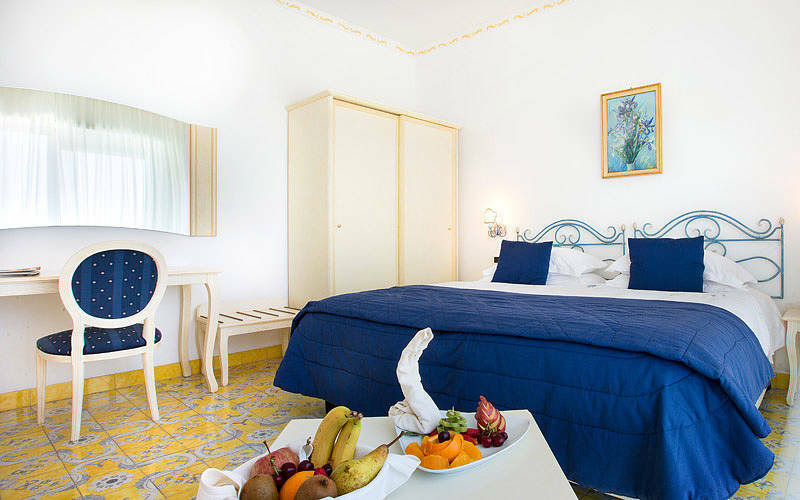 Hotel La Vega is within easy reach of the Charterhouse of San Giacomo and the panoramic Gardens of Augustus, from where beautiful views of the Faraglioni and the Bay of Marina Piccola can be admired. 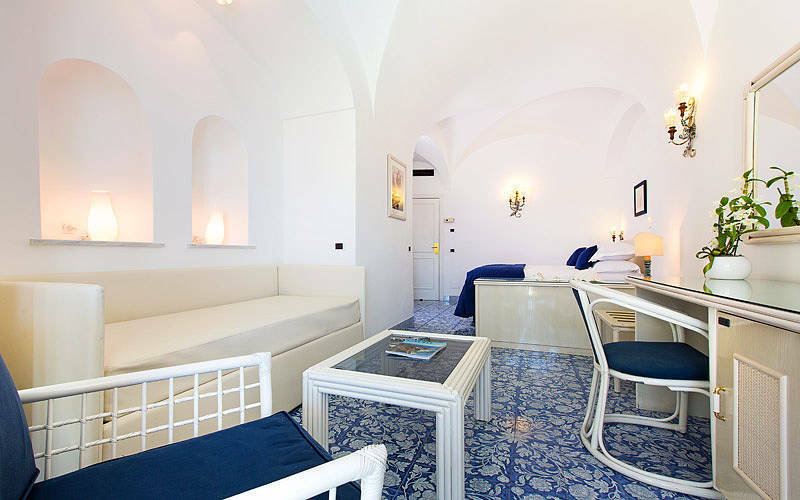 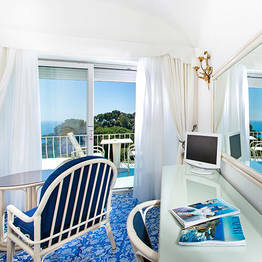 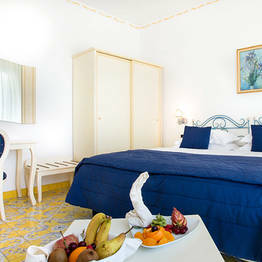 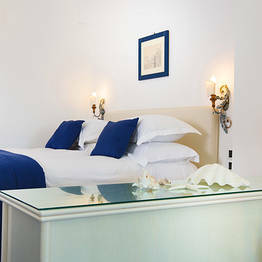 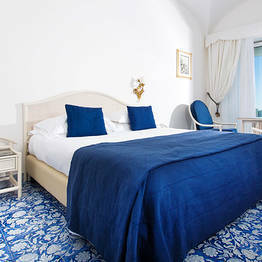 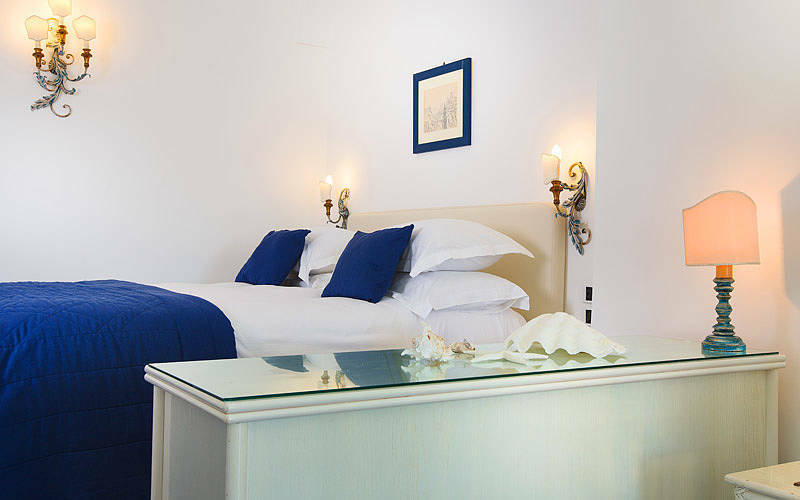 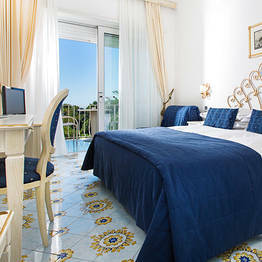 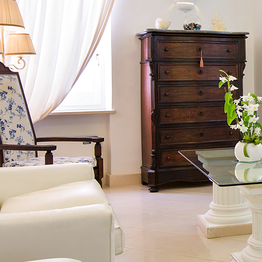 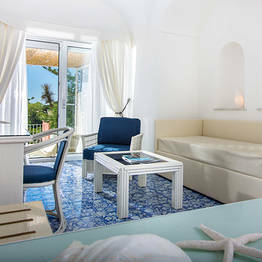 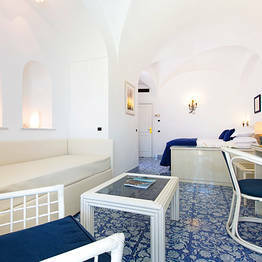 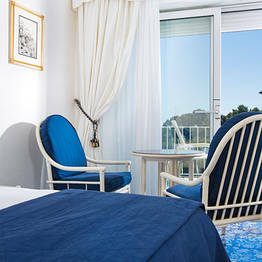 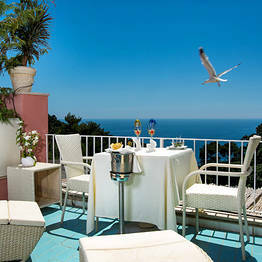 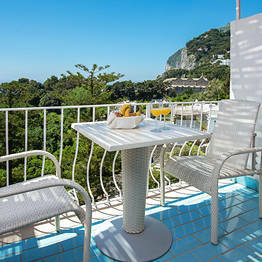 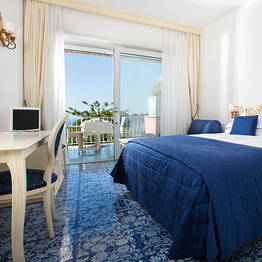 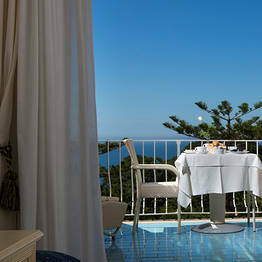 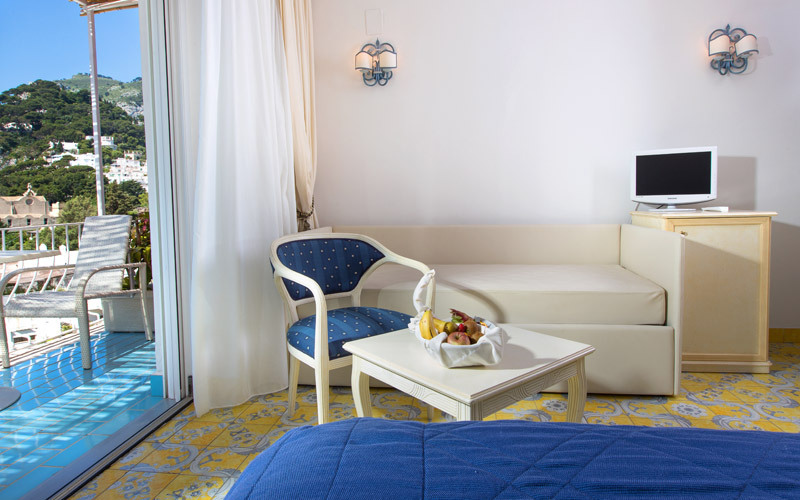 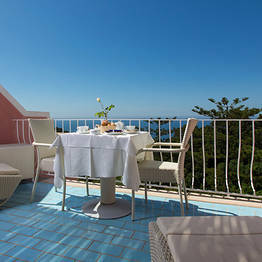 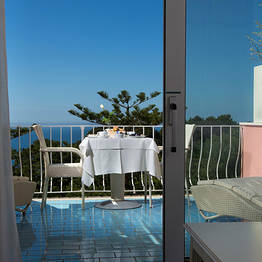 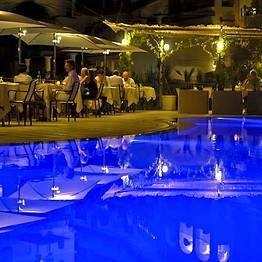 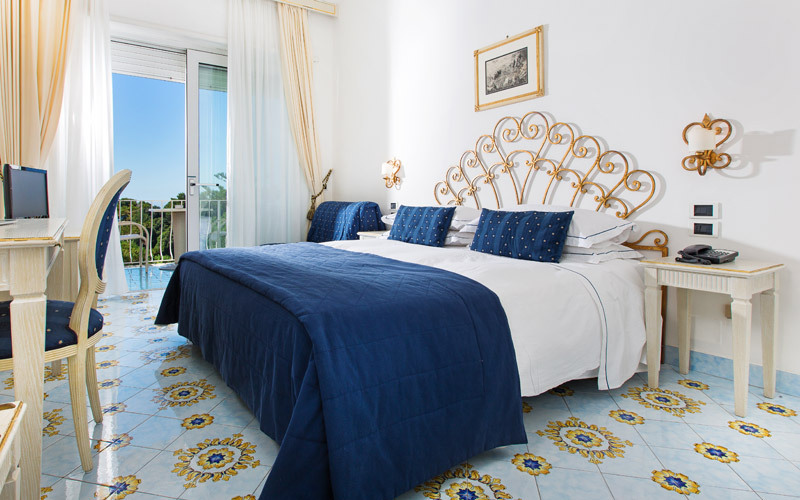 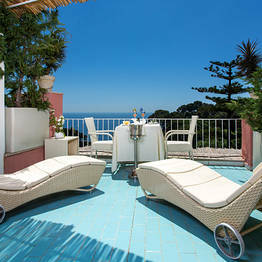 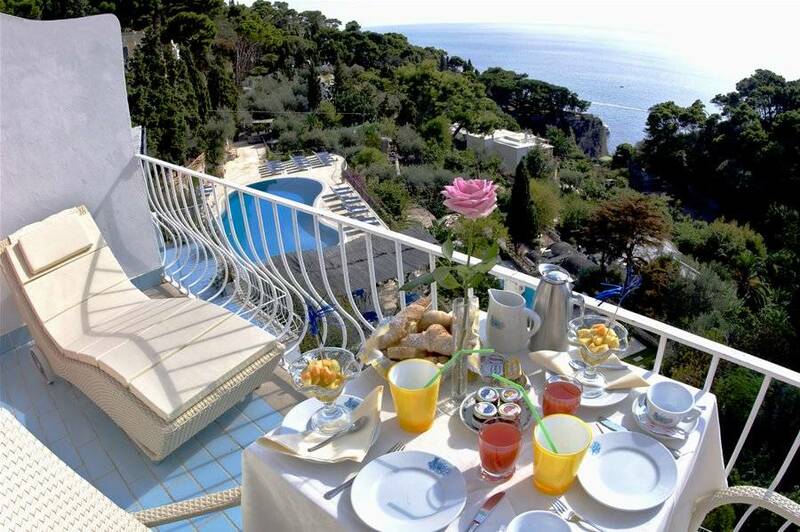 Hotel La Vega is situated in the center of Capri. 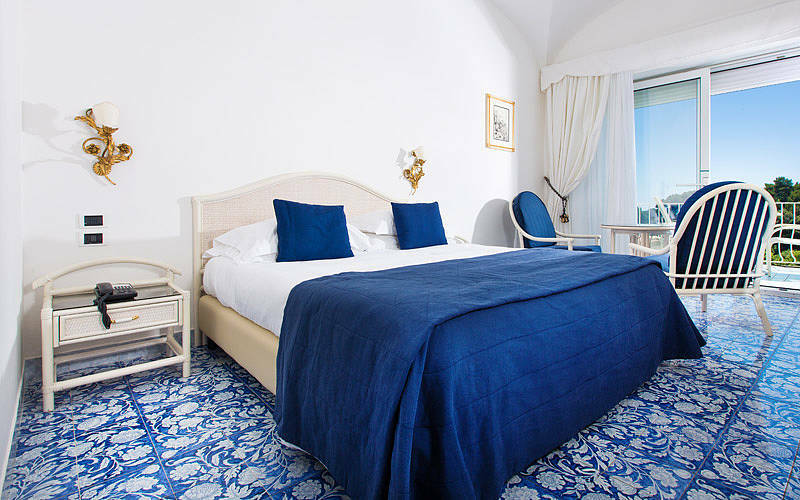 The Piazzetta and the island's luxurious shopping district are within easy walking distance of the hotel which, despite its extremely central position, enjoys a particularly quiet location. 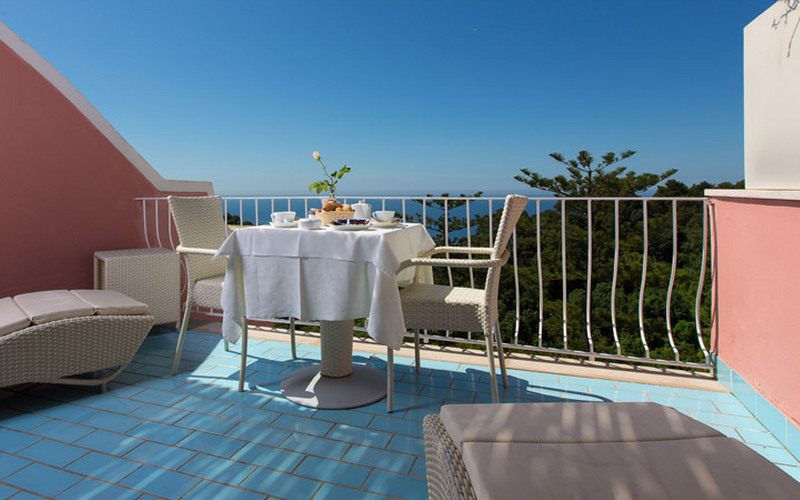 Just a few meters separate the hotel from the Charterhouse of San Giacomo and the Gardens of Augustus, from where to admire a fabulous view of Capri's Faraglioni, Via Krupp, and the Bay Marina Piccola.